The official iOS 9.0.2 Firmware (Build: 13A452) and Xcode 7.0.1 (Build: 7A1001) for iPhone, iPad and iPod Touch devices has been released by Apple with fixes, improvements and enhancements of features and functionalities. 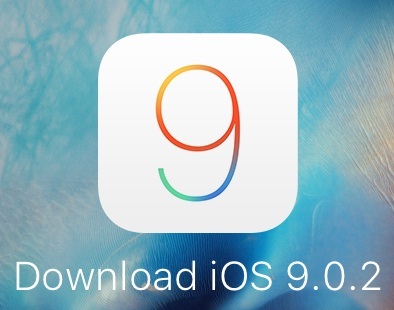 Apple iDevice users can instantly get iOS 9.0.2 OTA Update and can also manually install iOS 9.0.2 using iTunes. Download iOS 9.0.2 IPSW Firmware for iPhone 6S, iPhone 6S Plus, iPhone 6, iPhone 6 Plus, iPhone 5S, iPhone 5C, iPhone 5, iPhone 4S, iPod 6G Touch, iPod 5G Touch, iPad Pro, iPad Air 2, iPad Air, iPad 4G, iPad 3G, iPad 2G, iPad Mini 4, iPad Mini 3, iPad Mini 2 and iPad Mini through Direct Links available at the end of this post. 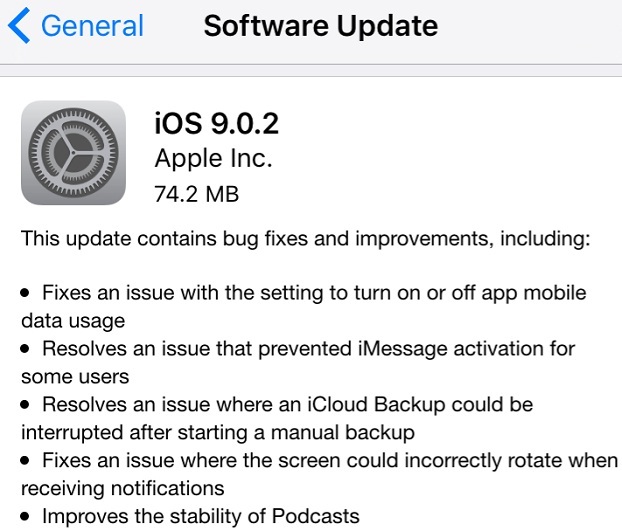 According to Apple, the official changelog of all new iOS 9.0.2 Update includes; fixes for lock screen vulnerability, cellular data, podcasts, screen rotation, iMessage activation and iCloud backup etc. Full iOS 9.0.2 Changelog is attached with below image! The official release notes of Xcode 7.0.1 Update contains; bugs fixes, inclusion of Swift 2 programming language and SDK's of iOS 9.0.2, watchOS 2 and OS X El Capitan 10.11 SDK. Full Xcode 7.0.1 Changelog can be read in below image! Currently, untethered iOS 9.0.2 jailbreak using TaiG, PanGu or PP Jailbreak Tools is not possible. How to Install iOS 9.0.2 Manually via iTunes? To receive OTA iOS 9.0.2 Update directly from Apple, iDevice users can go to Settings > General > Software Update option on Smartphones and Tablets. For Manual iOS 9.0.2 Update installation with iTunes, iDevice users can Download iOS 9.0.2 .IPSW Files via Official Direct Links.